I make a concerted effort to reach out to all of my constituents. For that reason, I use as many different forms of communication as possible. Most of you have received regular mail from me. I also have frequent town hall meetings (more on that below). 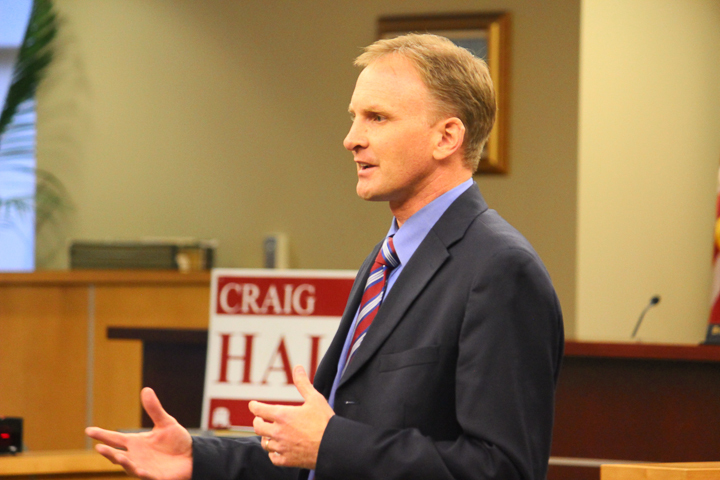 You can follow me online at www.votecraighall.com. For even more frequent updates, you can follow me on Facebook at www.facebook.com/votecraighall and/or on Twitter at www.twitter.com/hcraighall. You are also welcome to call my cell phone anytime. (801) 573-1774. I will be in many meetings throughout the legislative session, so if I don't answer right away, feel free to leave me a message and I'll try to call back as soon as possible. I will also be sending out regular updates via email. Probably the quickest way to get ahold of me is by email. My legislative email address is chall@le.utah.gov. Saturday, January 31, 2015, 12:30 - 1:30 p.m.
Tuesday, February 18, 2015, 7:00 - 8:00 p.m.
Saturday, February 28, 2015, 12:30 - 1:30 p.m. I will soon be mailing a survey to voters within District 33. The answers you provide to these survey questions are invaluable. Please, please, please fill it out and return! I am very interested in your perspectives. Your comments and thoughts are greatly appreciated. Thank you so much. In my ongoing efforts to reach out to public school teachers and principals, I have recently visited with several principals at schools throughout the area. 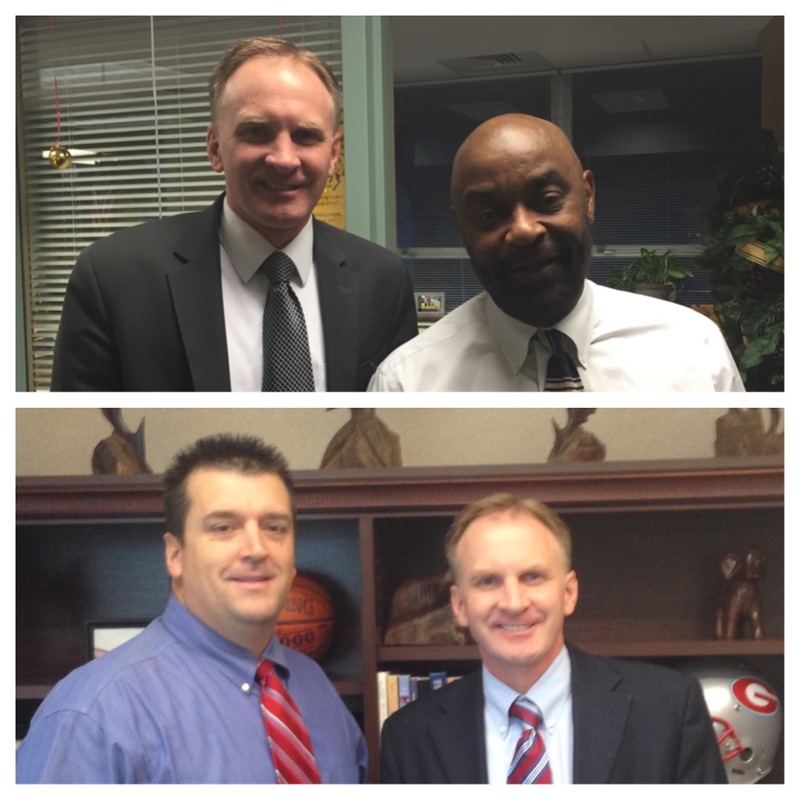 Over the last few weeks, I have visited Granger High School, West Lake Jr., High, Robert Frost Elem., Hillsdale Elem. and Rolling Meadows Elem. Below is a photo with two of these principals (Ike Spencer - West Lake Jr.; Dr. David Dunn - Granger High). Thanks to the teachers, administrators and all others that make our neighborhood schools a great place to go to school.